RDI is the world’s largest independent provider of UK university qualifications by distance learning. Thanks to its unique business model including an exclusive and long term partnership with some of the most prestigious UK universities, it promotes and supports several graduate and postgraduate UK qualifications worldwide. 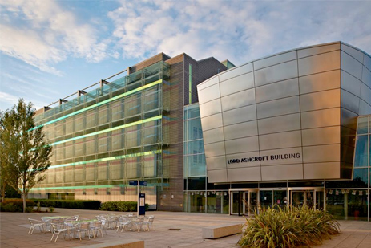 Founded in 1858, Anglia Ruskin University is one of the largest universities in the East of England with campuses in Cambridge, Chelmsford and Peterborough, offering high-quality courses to over 31,000 students worldwide. The University has a fast-growing reputation for research: the Government’s 2008 RAE rated 8 areas of their research activity as world-leading. Also, 89.6% of its graduates go into work or further study. Anglia Ruskin University has a history dating back to 1858, and is one of the largest universities in the East of England with campuses in Cambridge, Chelmsford and Peterborough, offering a range of high-quality undergraduate and postgraduate courses, as well as a number of research qualifications. Anglia Ruskin University also has one of the highest employability rates in the higher education sector; 89.6% of its graduates go into work or further study. The University has a fast-growing reputation for research and the Government’s 2008 Research Assessment Exercise (RAE) rated 8 areas of our research activity as world-leading. Testament to their growing reputation, Anglia Ruskin University is ranked in the Top 70 UK Universities in 2014 by the Guardian, up by 24 places from 2012. The Lord Ashcroft Business School has a reputation as a centre of excellence for business and management with well-established partnership agreements around the world. Anglia Ruskin University graduates are in great demand. Four out of five go into jobs classified as professional or managerial and the number of students starting their own businesses is also increasing year on year. Over the past few years Anglia Ruskin University has been at the forefront of a number of cutting edge partnerships including the MedTech Campus and ICENI campus with its world-class training centre for keyhole surgery. The University also has strong links with industry employers, including Harrods, Barclays, RAF, UPS and Volvo. Anglia Ruskin University also have an award winning Student Services Team who were recognised as the best in the country at the 2012 Times Higher Education Awards. Business and Management, Law and Finance, Health and Social Care, and Computing and Graphic Design. Due to their high-quality and flexibility, these qualifications are designed to equip graduates with the knowledge and the competitive edge to succeed in today’s challenging global marketplace. 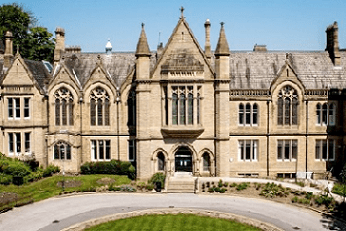 As one of the world’s leading business schools, Bradford University School of Management is recognised for the quality, flexibility and career progression of its graduates. That’s why, Bradford University School of Management has the ‘Triple Crown’ of accreditations and is ranked within the Financial Times Top 50 European Business Schools. The University of Sunderland is an innovative, forward-thinking university with high standards of teaching, research and support that sits at the heart of one of the UK’s most up and coming cities. Testament to their growing reputation, the university was nominated for University of the Year in 2012 (Times Higher Education Awards). Sunderland Faculty of Business and Law is recognised worldwide; with students from over 70 countries and a presence on four continents, it plays a major part in preparing tomorrow’s leaders for a successful career. 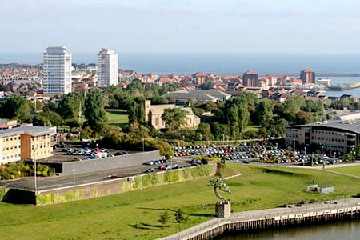 Sunderland Business School has a reputation for delivering programmes influenced by the latest business and management theory and practice. Degree courses covering a range of business functions ensure that as a graduate you are equipped with the knowledge and skills needed to find graduate level employment or set up your own business. Employability is at the heart of the university experience, and at Sunderland Business School this is underpinned by the drive to develop six key attributes in graduates: capable, enquiring, creative, enterprising, ethical and global in outlook. A global institution but with local roots, Sunderland Business School was voted Best in the North East for Student Satisfaction (Sunday Times University Guide 2014). Whatever your future ambitions, make a life-changing decision by choosing to study at the University of Sunderland, and see where your career could lead you. Formerly Edexcel, Pearson are the UK’s largest awarding body who are accredited by the UK Government’s Qualifications and Curriculum Authority (QCA) to award a range of academic and vocational qualifications, and testing to schools, colleges, employers and other places of learning in the UK and internationally. Formerly Edexcel, Pearson are the UK’s largest awarding body who are accredited by the UK Government’s Qualifications and Curriculum Authority (QCA) to award a range of academic and vocational qualifications, and testing to schools, colleges, employers and other places of learning in the UK and internationally. Pearson operate in 112 countries and every year more than four million people study their internationally recognised qualifications. Pearson is part of Pearson, the world’s leading learning company which has an educational heritage rooted in names like Longman, Heinemann and Prentice Hall. Pearson offer a wide variety of both vocational and general qualifications, with more than 500,000 students studying these programmes each year. Their academic qualifications include GCSE, GCE (A level) and International GCSE (Pearson Certificate for UK state schools). Their vocational qualifications include NVQ and BTEC from entry level, to Higher National Diplomas. Pearson BTEC qualifications are accepted by all UK Universities for direct entry with advanced standing on to their degree programmes, and are recognised in more than 80 countries worldwide.